M&S is my hallowed place. So many of my favourite clothes are from there over the years that their "Huh, meh" periods are entirely endurable because you know that just round the corner is a boom year. This time, it's in their fantastic M&S Collection line (it used to be Limited Collection, which has since become Limited Edition, which is largely uninteresting). I am a complete magpie for bright colours and for patterns, and if the two collide then it's pretty much buns for tea all round. M&S does a really varied size range. 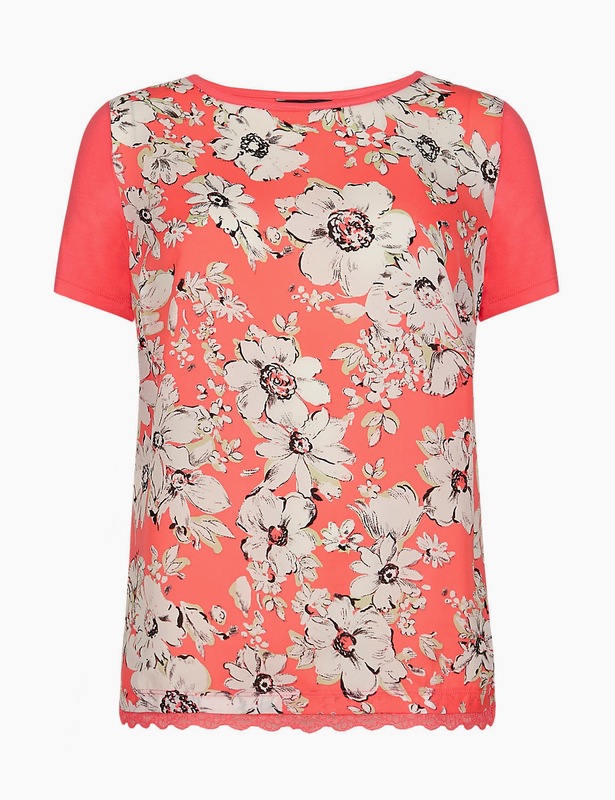 Many items in this post are available in sizes 8 to 24. 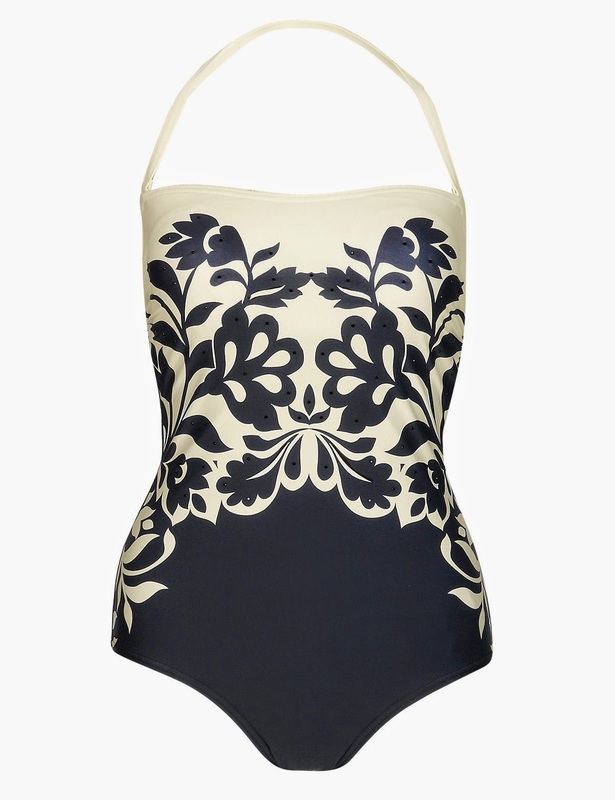 I'm kicking off with these utterly magnificent swimsuits. I find swimsuit shopping a total chore, which is probably why I've worn my beloved For Luna costume for the last four years with only the occasional foray into an elderly bikini from previous times (the Jurassic age? Yep, that, but in teal). 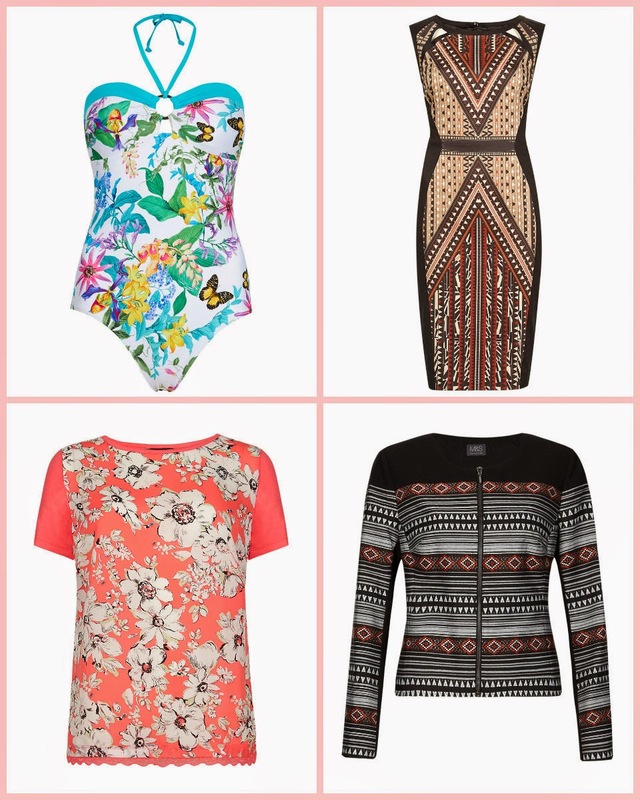 They're both £35 for the TO DIE FOR tropical print, and the monochrome bandeau if you fancy some flowers but not a butterfly. ARGH! I cannot tell you how much I love the geometric print dress (top). It's £49.50. 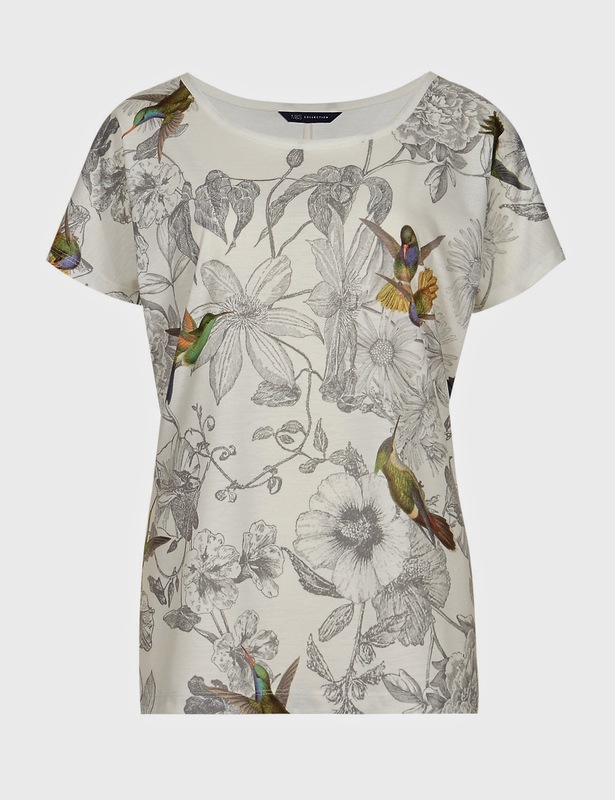 In M&S Collection's former incarnation, they did a stunning print dress, skirt and shirt. I own the last two and they are two of my favourite things in my entire wardrobe. If you see this sort of thing in Marks, GET IT. 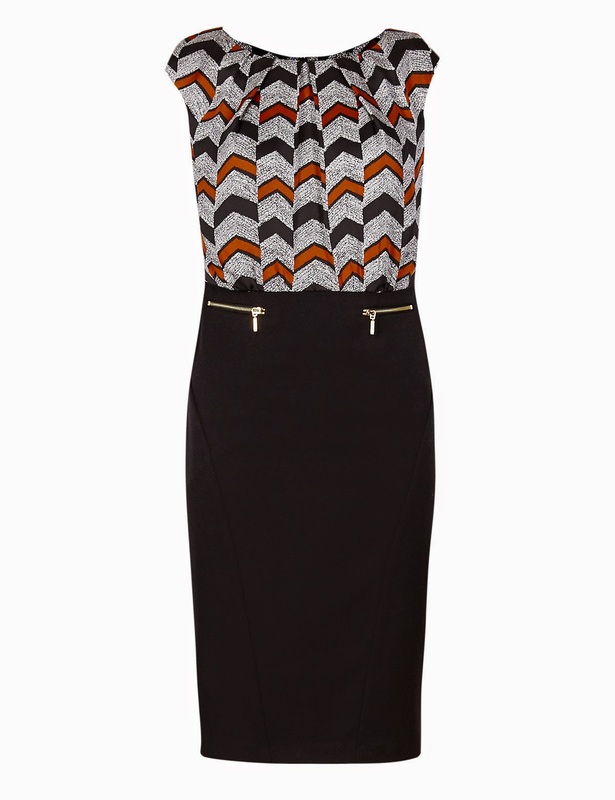 In fact, if you're a petite there's an excellent print blouse, and a superb bodycon dress. It's a good day to be a petite. For a less in your face look, try this demure but fabulous shift, and sling a huge slice of glittery necklace over the top. Wait, that's still in your face. Oh well, deglitter if you absolutely must. It's £45. Let's top things off with trews and a fantastic jacket. Let's! 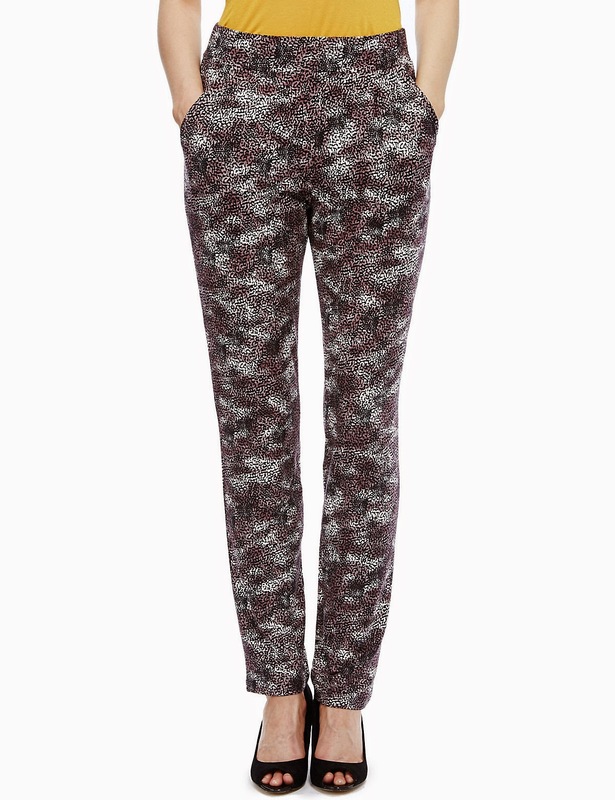 These animal print trousers have a tapered leg and come in a variety of lengths - they're very popular though so get cracking if you want them on your gammes. £29.50 to you, madame. 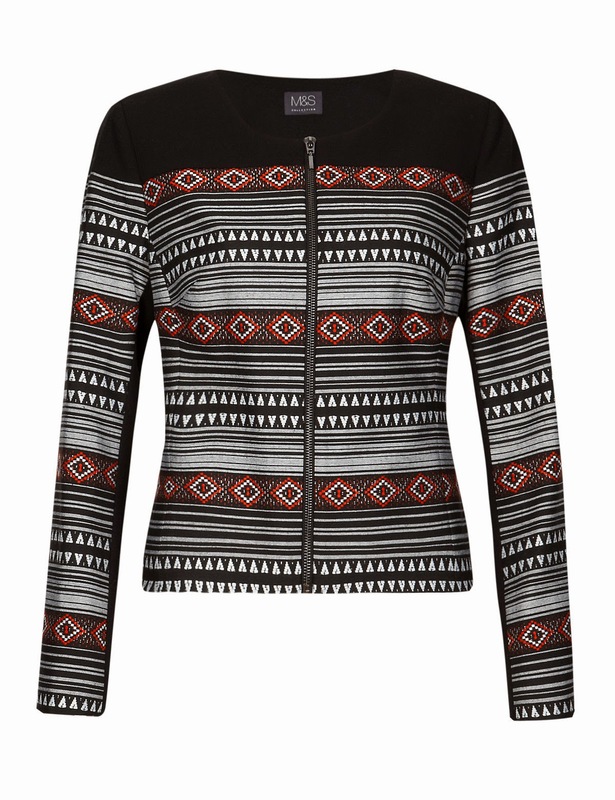 And this Aztec cocoon jacket is just superb. A nice and easy way to go through the year without freezing or boiling in the relevant season, and £59. 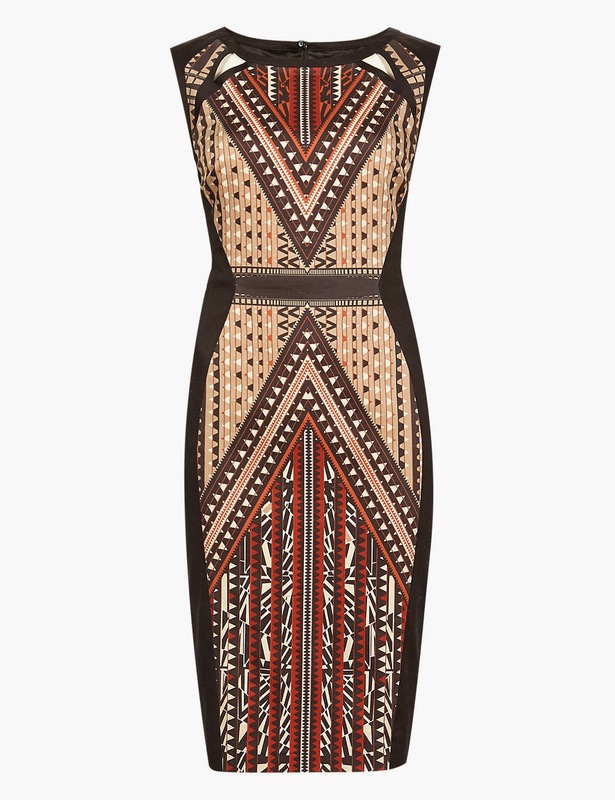 M&S has gone mad for Aztec prints this year, so be careful or you'll end up with a wardrobe consisting solely of zags. Although actually, that sounds rather fine indeed. They're normally brilliant at that, give it a go. 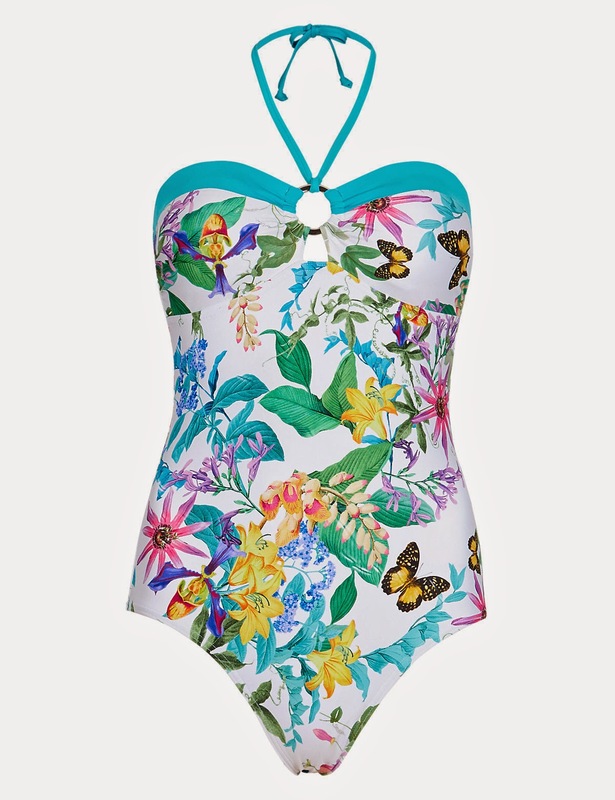 The tropical swimsuit has defined cups (oh and tummy control - so useful! ), and the bandeau likely has a shelf built in. Please report back if you buy! Thanks - I'll certainly be back to you if I buy. Think it looks beautiful on the site.